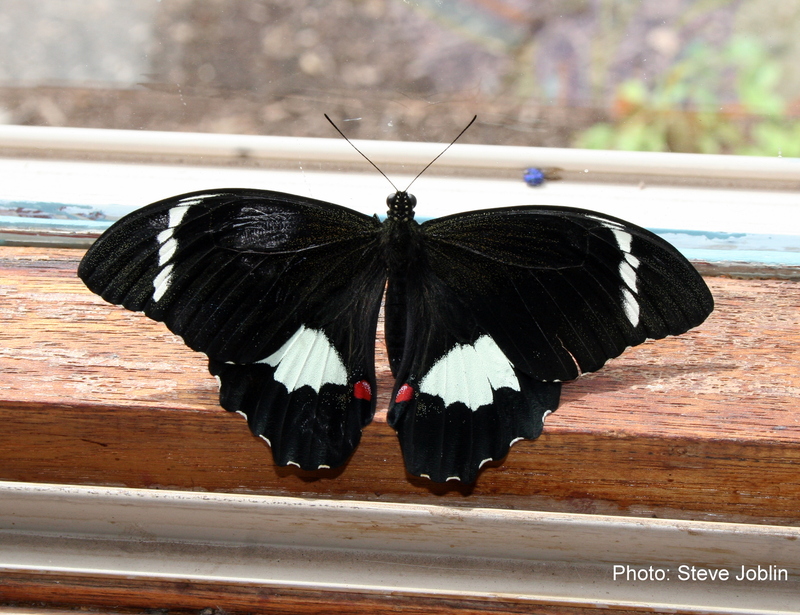 We recently received this lovely photo of a male Orchard Swallowtail or Large Citrus Butterfly (Papilio aegeus) from Heather and Steve in Flowerdale. With a wing span of 120mm (females are even larger at 140mm), this is the largest butterfly likely to be found in the Flowerdale/Strath Creek area. Although called a swallowtail, it in fact lacks the true swallow tail characteristic. Click HERE to view a fascinating post on the metamorphosis of the Orchard Swallowtail caterpillar on the Strathbogie Ranges Nature View blog.